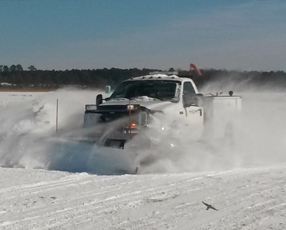 HWI Snow Management provides quality snow removal service in the Hampton Roads area during those challenging winter months. With timeliness and thoroughness as our top priority, we bring over twenty years of experience and are always seeking to enhance our operations with highly maintained and efficient equipment that offer snow plowing, snow blowing, ice removal, salting and ice control. We specialize in small commercial properties, airport runways and plow-by-the-push locations. Our contracts and hourly rates offer per-treatment options with customization and affordability. As a family-owned and operated licensed and fully insured business, we take pride in knowing that our customers feel secure and safe with our conscientious and diligent work and we accommodate YOUR schedule with round-the-clock service. When winter hits, rely on HWI Snow Management to clear the snow and give you the peace of mind you deserve. 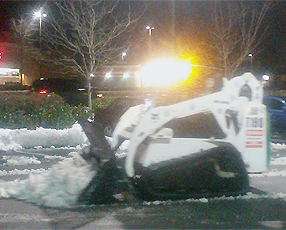 Call us today for a FREE plowing and removal consultation… you will be glad you did! 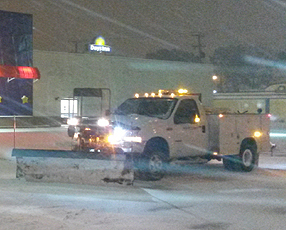 We provide salt treatment/management and snow plowing/blowing services by the push, and by the event. All of our personnel are professionally trained in the operation of snow plowing and snow blowing equipment.